Weeding the garden brings me face to face with the ghost of what was there before and what will be again, Wild bush hiding at the edges, between the stones, bleeding from the old and dying tea tree that was here before this house, and from around whose roots I pull weeds. Weeds…no, not weeds – not unless you step back from looking too closely. Not weeds but homes; communities, ecosystems and burgeoning life is what I pull. And the tears start yet again. Am I the only person in the world who can’t weed a garden without crying? Little spiders run for your lives, worms, dive for cover! I’m sorry. It’s not my choice. And trees – I know – I pluck from around your roots the gentle blanket of growing things that holds the moisture and shares the processing of mulch, feeding you. I’m sorry. 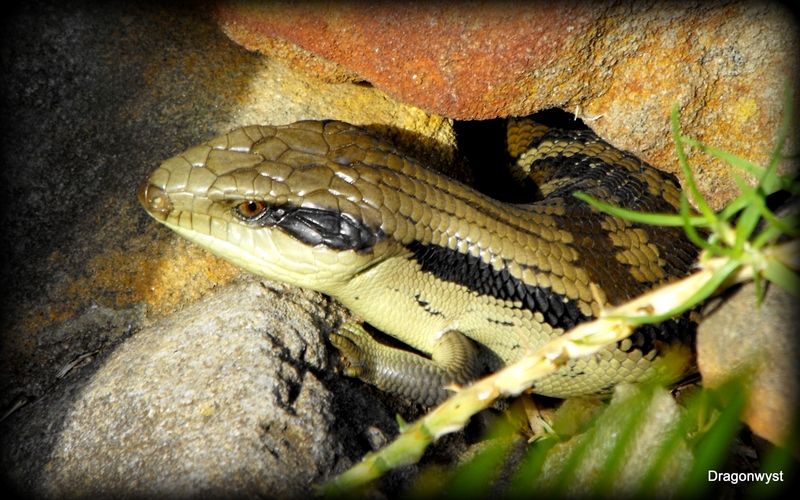 Flee little skinks and hide between the rocks. Each little creature I see I will handle with care, move aside, give time for escape, leave the leaf that has become a shelter against the storm of my passing on a gentle sunny day. It’s not my choice to pull weeds. I am so aware of that haunting of the bush, in this garden especially. It overlays the place, seeps through the lichen and moss, whispers through the grasses that aren’t supposed to be in a suburban garden and rides in on the wings of the butterflies. We are allowed here only because Nature has stayed her hand; by some strange agreement she allows us to be and do what we will, but only while we pay attention. The minute our backs are turned, our attention is elsewhere, she will reclaim what is hers. The Wild will return and make a mockery of our careful borders and trimmed bushes. 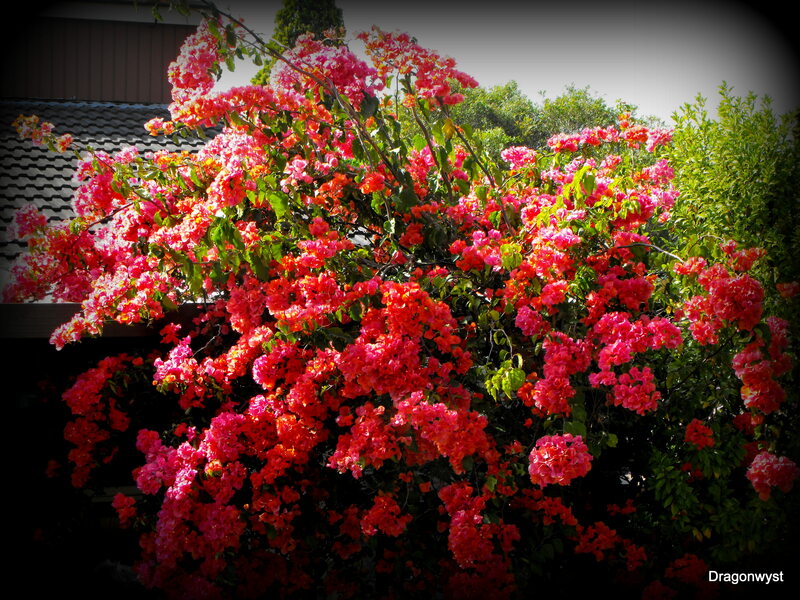 The Bougainvillea will tear down the cover over the patio and spread its glorious riot of colour like the joyful angry madness of an uprising of the oppressed. The moss will eat up every brick in the courtyard as only moss can – did you know moss devours bricks? That gentle green fuzz reduces hard man-made stone to dust, to soil, to gardens for growing little plants and before you know it, the Wild has returned. For now, the weeding will get done. It’s part of the contract. I need a home for my family. But one day the Wild will rise up and take what’s left of my body home to be one with the dust of planet circling a star in the zodiac of some other distant galaxy. ~ by Dragonwyst on April 27, 2013. When we are gone, Nature will again regain its supreme position. I am glad that when we are gone, the Earth will live on better than when we played at being rulers of the Earth. I don’t cry but I spend a lot of time saying, “Oh! Sorry little plant! Sorry, tree. Oh! Sorry little worm!” etc etc.